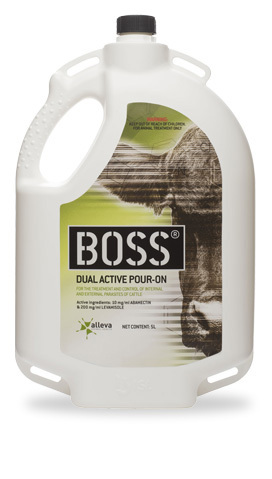 An innovative dual-active pour-on for the treatment and control of internal and external parasites of cattle. 10g/L abamectin and 200g/L levamisole. 1ml/20kg (500mcg/kg abamectin & 10mg/kg levamisole). 42 days meat, 35 days milk. 2.5L & 5L carry packs.